This kit is typical of many of the small town General Stores found all over the country. 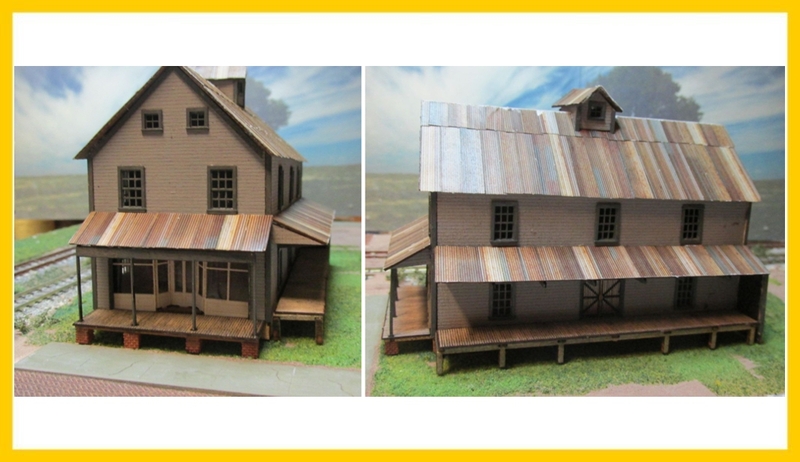 With store in front and warehouse/mill in the back. Kit contains laser cut wood walls, Tichy windows and our paper corrugated roofing.